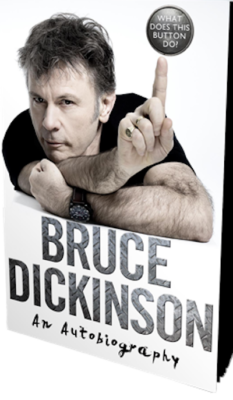 Bruce Dickinson‘s What Does This Button Do? autobiography is one of the year’s most anticipated books as we finally get to peer inside the Iron Maiden frontman’s life and delve further into his career. We’re just over one month away from the U.S. release and headbangers can now salivate at the prospect of meeting Dickinson in person at one of seven stateside book appearances. After wrapping up select appearances in the United Kingdom, Dickinson will cross the Atlantic Ocean and prepare for a series of appearances in the U.S. starting on October 30th, the day before his autobiography hits shelves and webstores in the country. The singer will make three appearances in New York over a two-day span before hitting California for a pair of stops on November 1st and November 2nd, trekking back to the East Coast for one more New York stop and a final one in New Jersey. All dates can be seen below and for further details, including ticket info about each event, head to Iron Maiden’s website. Dickinson recently released the first excerpt from his forthcoming book, detailing how he was struggling with his voice onstage during his pre-Maiden days as the frontman for Samson. 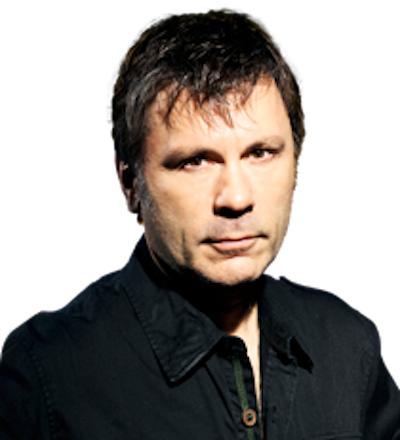 He also chronicled being tapped as Iron Maiden’s new singer after being recruited by the band’s manager, Rod Smallwood, who pulled the singer aside at a festival to discuss the opportunity. To read more about the book, and where to pre-order, please click here. No Portland date either?! Then again they NEVER come to Oregon. Anyone read the book yet? Thx Bob I looked right over that. Its a little more than a 2hr drive from where I`m at so I`ll go check it out. Ugh, come on Bruce…why are you skipping the 3rd biggest city in the country?